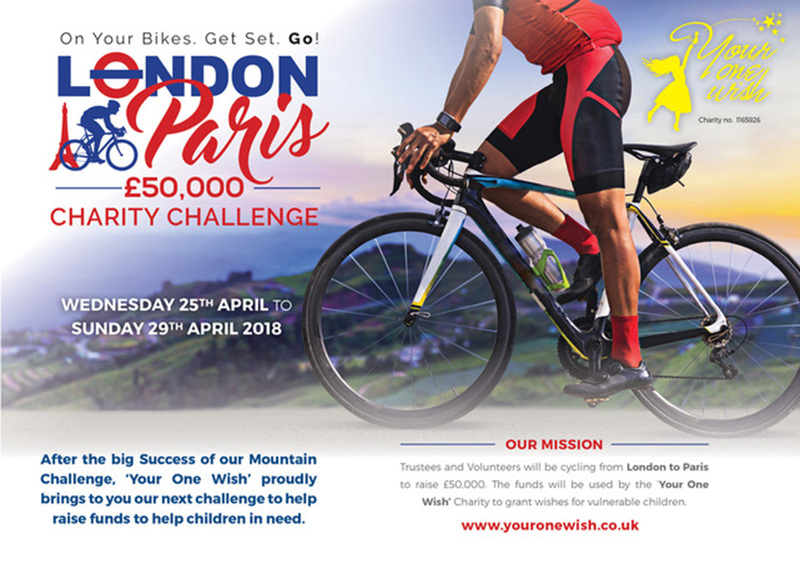 After the big success of our Mountain Challenge, “Your One Wish” proudly brings to you our next challenge to help raise funds to help children in need. Trustees and Volunteers will be cycling from London to Paris to raise $50,000. The funds will be used by the “Your One Wish” Charity to grant wishes for vulnerable children. Click here to Read more about London to Paris Charity Challenge.